This timepiece has a seductive air of light-hearted whimsy. Trocadéro Lady, a pink gold execution that will sparkle to perfection on the wrists of fashionable young women who have not lost their playful, quirky spirit. 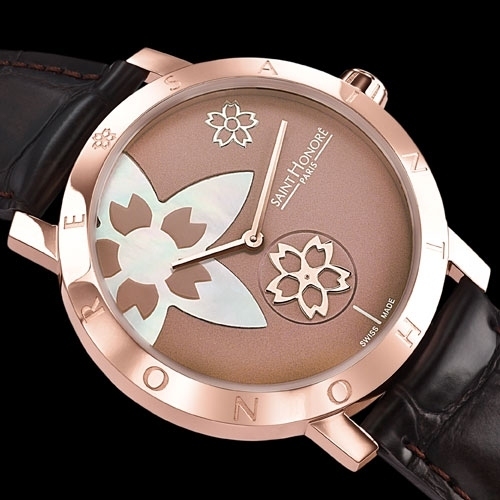 The dial showcases its stunning features, with its floral motif, coppery-brown finish, white mother-of-pearl and sweeping seconds. 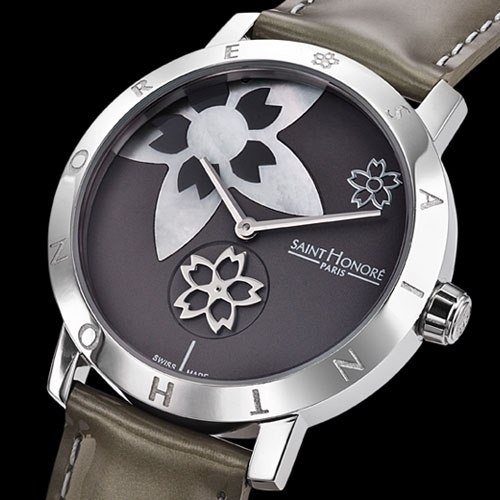 The floral bouquet that adorns this timepiece is not only decorative: the rotating flower at 6 o’clock indicated the seconds, reminding those in the know of the famous rotating monogram cherished by Saint Honoré. To complement the dial, a new high-gloss taupe brown patent leather strap adds a touch of glamour to the new collection.